In September 2015, the global development community under the leadership of the United Nations will adopt the post-2015 Development Agenda and announce the Sustainable Development Goals (SDGs). While the proposed SDGs pick up the unfinished achievements in pursuing the Millennium Development Goals (MDGs), they go further by integrating economic, social and environmental aspects and recognizing their inter-linkages in achieving sustainable development in all its dimensions. There is overwhelming agreement among the development community that the financing resources needed to achieve the SDGs will exceed far beyond the current development financial flows. To address this challenge, the development community will meet in July in Addis Ababa, Ethiopia for the Third International Conference on Financing for Development (FfD3) to unlock the needed financial resources for sustainable development. Islamic finance can play potent role in overcoming the challenge of financing the post-2015 process. Three core propositions of Islamic finance with respect to financing sustainable development are identified. 1. Islamic Finance possesses fair and equitable tools for Risk appetite and allocation. Given the large scale of the needed financial resources to channel in support of SDGs, the funding goes beyond the available public financial resources to shift to private finance and investment. However, the main constraint to attract private flows will be the risk assessment of market and projects by the private capital providers. Islamic finance as a form of financial intermediation offers tremendous potential in reinforcing links between finance and real economy. In fact the application of Islamic finance principles on a broader scale, offer strong preference for risk-sharing arrangements and a rejection of “riba” or interest-bearing debt instruments. Risk-sharing shifts the emphasis from credit-worthiness of the borrower to be placed on the value creation and economic viability of investments that create new wealth. Moreover, the profit-sharing feature offers strong incentives for both the entrepreneur and the financier to contribute to the success of the investment. This also provides the base for a long-term trust-based relationship, and the desire for the financial institutions to conduct the appropriate due diligence to insure that the expected returns are proportionate with the risks undertaken. However, in the real world accountability and governance aspects, such as higher standards of disclosure and transparency, and effective risk management are key to building trust, which in turn acts to enhance market discipline. 2. Islamic Finance possesses potent instrument to promote domestic resource mobilization. A critical source of development finance available for most countries is domestic resource mobilization to fund national development plans. However, a country’s ability to unlock its domestic financial resources, without relying on interest-based debt, provides the crux of financing for development. An alternative approach to developing domestic capital markets is to expand the role of Islamic finance in equity-based markets in both stock and Sukuk (Islamic bond) markets. The Sukuk market has been particularly instrumental for fund raising and investment activities. Although most Sukuk rely on fixed income instruments, Sukuk can be structured as a partnership instrument to channel capital into productive activities (real economy). Sukuk suit well infrastructure financing and can help fill the funding gap for infrastructure and support the development of sustainable infrastructure. Sukuk when appropriately structured have been widely used in financing infrastructure upgrades, for example, airports, roads and ports in Malaysia and the GCC countries. Sukuk financing also provides a competitive vehicle for fundraising activities, broadening the investor base through access of both Islamic and conventional, including the growing category of investors seeking socially-responsible or ethical investment. Yet, an essential condition for the development of a local Sukuk market would be an effective legal and regulatory framework to provide an enabling environment that will enforce the legality of Sukuk contracts and ensure Shariah compliance. 3. Islamic Finance possesses social welfare tools to leverage concessional finance. Aid or concessional finance has played and will continue to play “a central and catalytic role” in the next 15 years, as stressed in the Synthesis Report of the Secretary-General on the Post-2015 Agenda. However, it has to leverage and catalyze other sources and channel these sources to sustainable and stable development projects. Traditionally, Islamic finance possesses models for solidarity-based financing with important features of social sustainability. For example, Zakat (wealth tax), obligatory for all who are able to do so, is an essential Islamic redistribution mechanism considered to be a personal responsibility for Muslims to ease economic hardship of the poor. Zakat has great potential to mobilize additional untapped resources for poverty alleviation. However, its impact on reducing the vulnerability of the poor depends on the Zakat collections and the allocation of its disbursements. Further, Waqf (a charity endowment in Islamic law), typically a plot of land or even cash for charity purposes, can be used as key instruments for promoting poverty alleviation and increasing the resilience of the poor. Real estate-based Waqf generates proceeds through the rental of properties, which then finance social development needs. Cash and commodity based Waqf provides interest-free loans (Qard Hassan) to the needy in sectors like education, health and agriculture. There has been new Waqf initiatives (like Waqf Singapore, Awqaf Capital Common funds, Waqf Structure partnership and Alfalah Consulting) to harness the potential of Waqf for sustainable development. Takaful, is an insurance concept based on the principles of shared responsibility, solidarity and cooperation. In contrast to the conventional commercial insurance, the policyholders in Takaful share in the investment pool’s profits as well as its losses. Moreover, there are cross-sectoral synergies between the Takaful industry and Islamic banking and the Islamic capital market, since Takaful could provide guarantees for many forms of financial services, especially for protection of Sukuk investor from the underlying asset risk. Takaful could also help promote financial inclusion and financial stability through providing Islamic finance for the poor and connecting finance with the real economy by sharing responsibility for investments between the Takaful operator and the policyholders. This note represents the views of the author and does not necessarily represent those of the Islamic Development Bank, its Board of Executive Directors or its management. 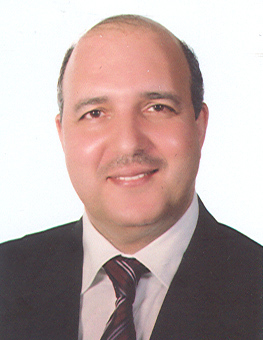 Jamel Zarrouk is Senior Advisor to the President and Chief Economist at the Islamic Development Bank (IsDB). He has held positions at the Arab Monetary Fund (based in the UAE), and the World Bank, MENA Region (Washington, DC). Keen on policy issues in emerging economies, he published on trade and financial development and economic integration, contributing to the debate on regional and global institutional architecture.